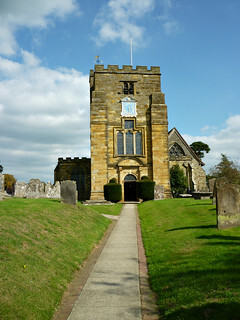 It is an ideal starting point for a peaceful walk through this most attractive area of the county. 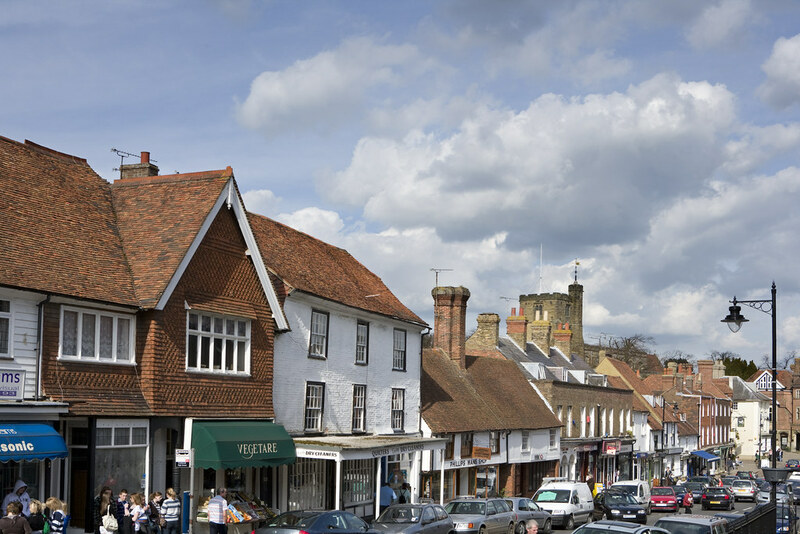 Known as the capital of the Kentish Weald, Cranbrook was once an important centre for textiles. Its broadcloth industry started in the 14th century and reached its peak in the Tudor period. 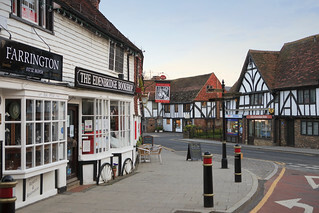 As the importance of textiles waned, the agricultural industry flourished in the local orchards and hop gardens, and Cranbrook became an important market town. 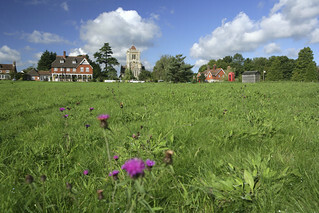 The village contains a number of interesting houses dating back 600 years. 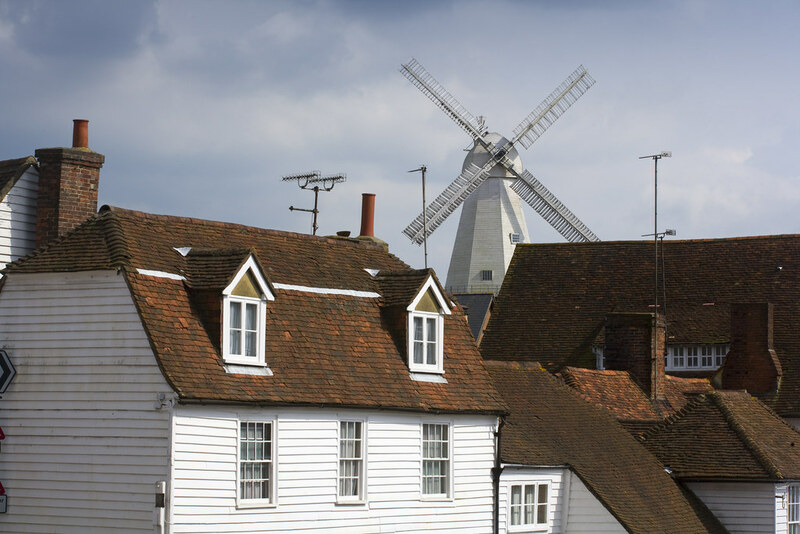 One of which is the restored and working 19th century Union Mill, which is the second tallest surviving windmill in the British Isles. 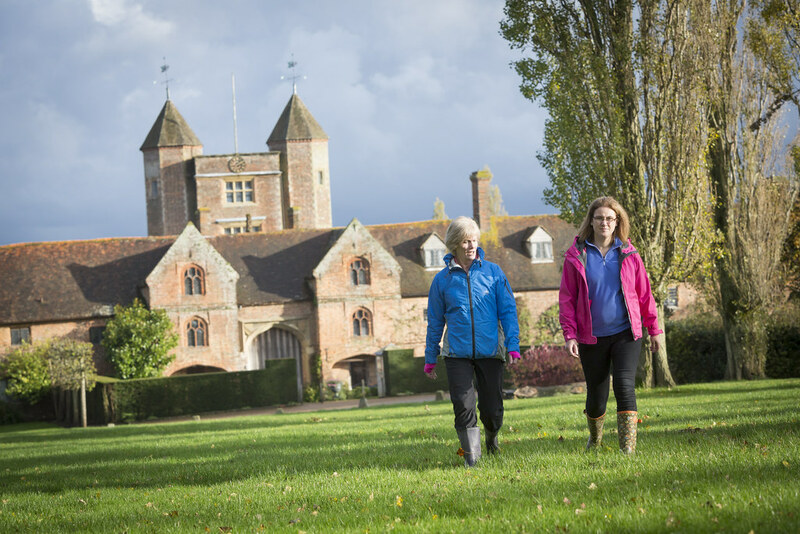 This walk also enables you to enjoy the village of Sissinghurst and possibly a visit to the gardens at Sissinghurst Castle – a former manor house once visited by Queen Elizabeth I.
Sissinghurst Castle Garden, conserved by the National Trust, is among the most celebrated in the world. 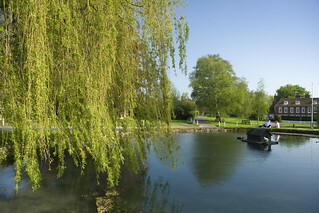 The gardens were created by Vita Sackville-West, the Kent author and poet, and her husband Sir Harold Nicolson. 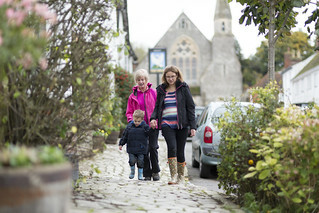 Starting from near the White Horse Inn on the High Street, head up the steps past the church and follow the path through the cemetery. Continue along the path as it enters into a playing field. Pass play area and follow the fenceline to the road. Beware of traffic. Go down steps and cross the road to continue on the footpath. Pass through kissing gate and follow the path close to the fenceline with the field on your right. 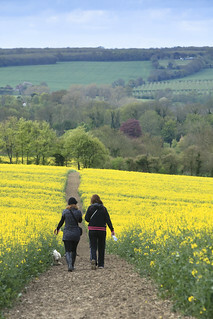 On reaching a waymarker post, turn right to follow the High Weald Landscape Trail along hedgerow. 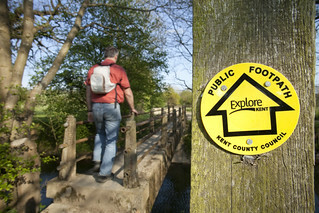 Continue to follow High Weald Landscape Trail signs along field edges until you reach a footbridge. Cross footbridge and follow footpath along edge of field on the left. Bear left through a gap and head across field towards houses and gate at road. Go through gate and turn left to walk along road for a short distance. Take care on road. Turn left to follow footpath sign towards Crane Farm. On reaching a junction, bear left to continue on surfaced path. Cross bridge and follow the path ahead past a house on your right. Go through gate and continue following the path ahead. Turn left at waymarker post to pass through gate and follow track towards house. 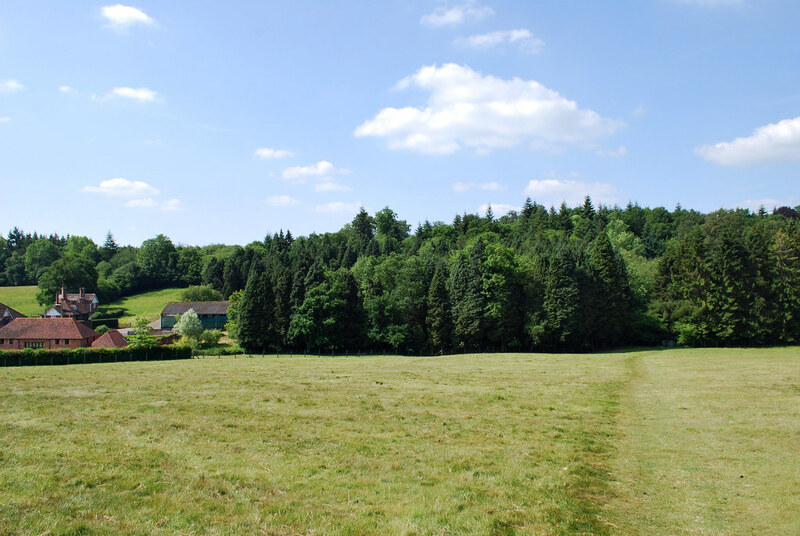 Nearing the house, as the track bends round to the left, bear right to follow path through two gates. On reaching the stables, turn right to follow the track. 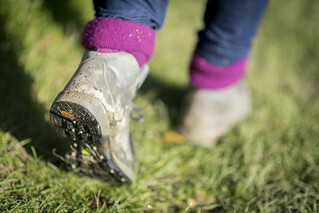 After a short climb, turn left off the track to follow the footpath straight across the field. 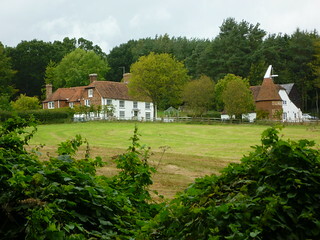 Turn right at point 11 if you want to visit Sissinghurst village. Go through kissing gate into woods and follow path to another kissing gate. Come out of the woods and follow the path ahead. Follow this path all the way back to the road and retrace your steps past the church, back to where you started.